Are you a new owner? We are happy to perform a walk through, RV orientation and education. Need more ground clearance? Ask us about getting your axles flipped. 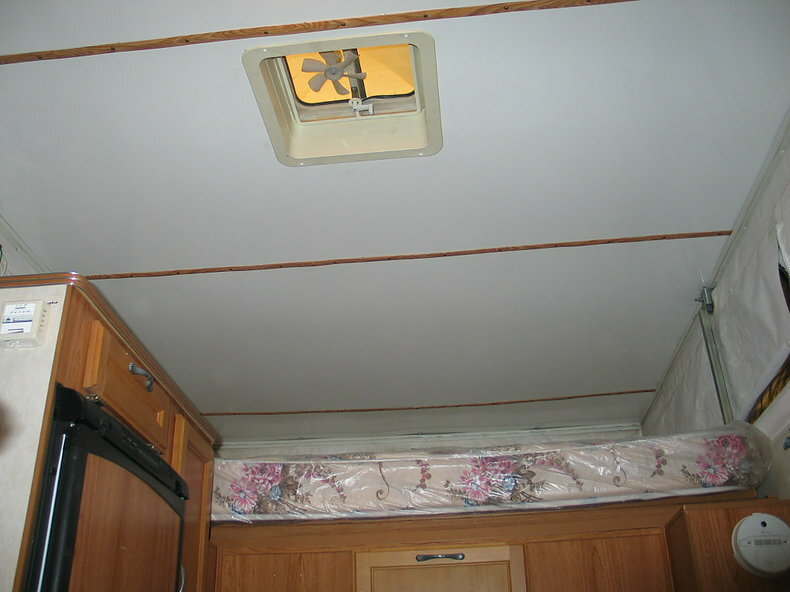 Here is an example of the type of work we do with ceilings. 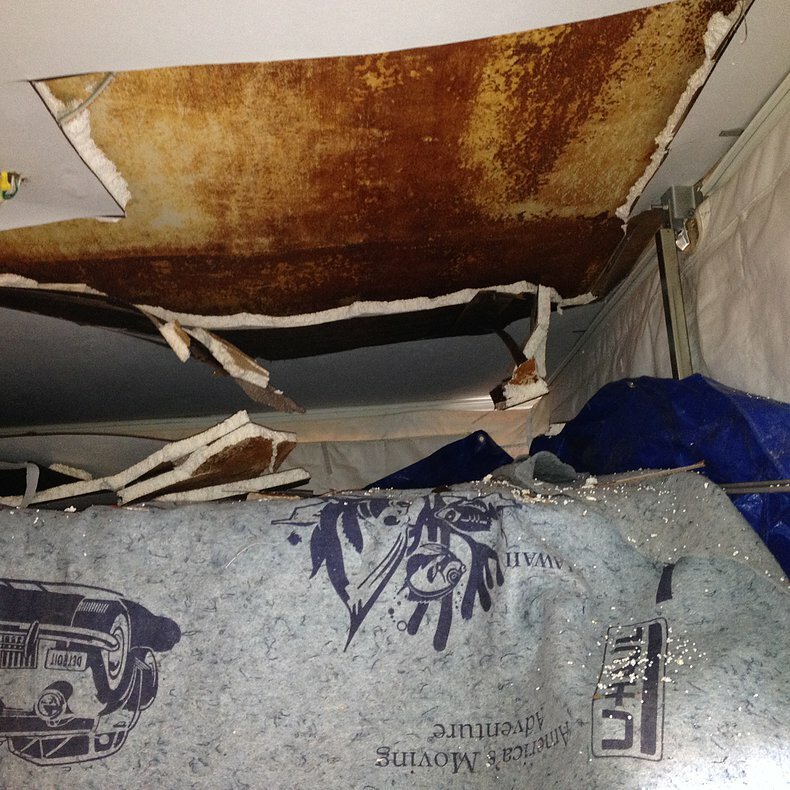 This pop-up camper developed a leak over the summer. 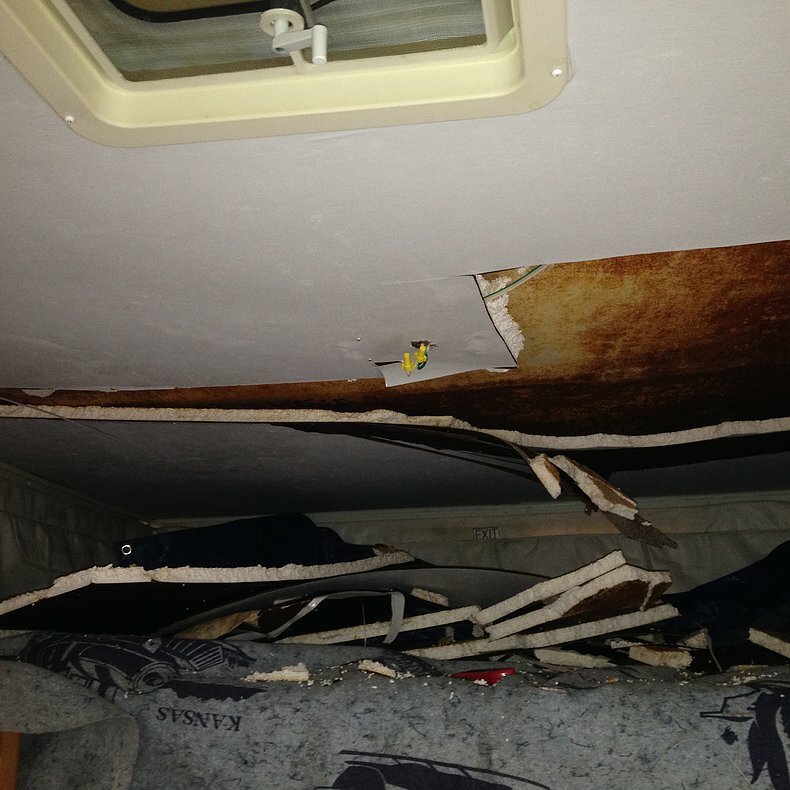 In the photos, you can see the damage to the ceiling and more importantly, the structure of the roof. To repair the roof, we glued thin plywood to the inside of the roof to give it strength, and then framed the entire roof with aluminum. This did two things: the first was to support the roof, and the second was to give us a frame to attach the ceiling. 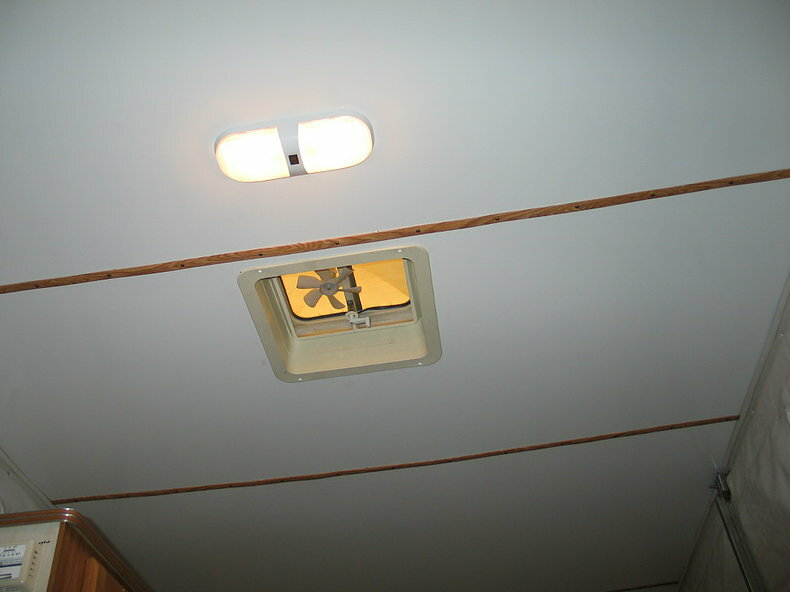 After the framing was complete, we insulated with 1” foam insulation and then sealed the job with the new ceiling.